Hope everyone had a good Christmas and enjoyed the time with who ever you spent it with friends/family. As I tweeted i managed to get The Amiga Years as one of my Christmas presents. Hoping to get some time to read this ! I noticed that the book - Commodore: A Company on the Edge is available on my Kindle as and ebook, for those that have read this would you recommend it ? I have The Amiga Years and, at least so far, am liking what I'm seeing. I've not read the other Commodore book. I did read The Future Was Here: The Commodore Amiga and didn't really care for it at all. It focused so heavily on how 3D technology works and other technical aspects of the machine that, frankly, it bored me to death. The Amiga Years seems to be much more in line with the history I'm interested in. I think Company on the Edge is pretty good. I got it via Kindle (only a $10 download) and at that level, it was an enjoyable read which I did on a long airplane ride two years ago. 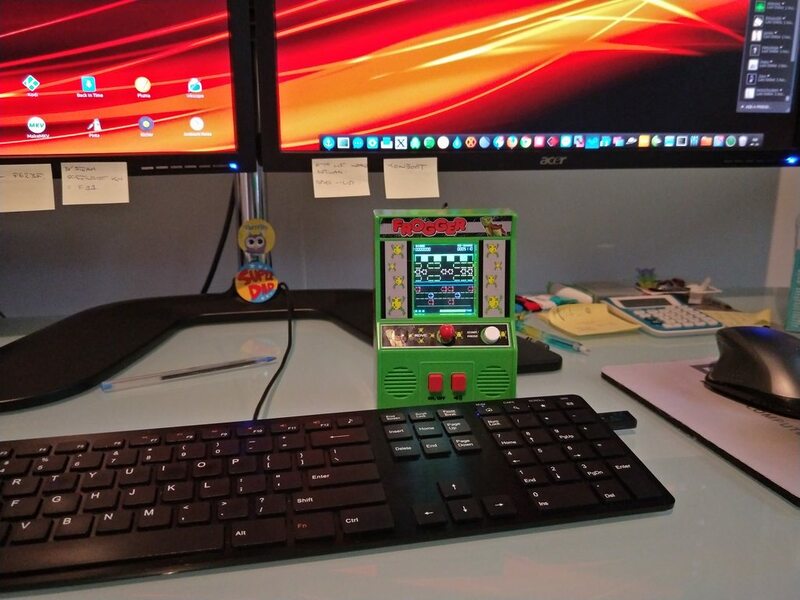 I got this little Frogger game for Christmas, my wife got the high score and no one can beat it! It's making us all very, very sad indeed!